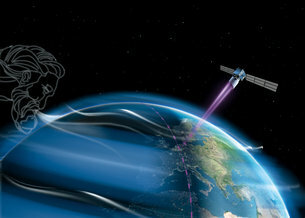 16 April 2013Developing new ways of monitoring Earth is always demanding, but ESA’s Aeolus mission has faced some particularly difficult technical challenges. 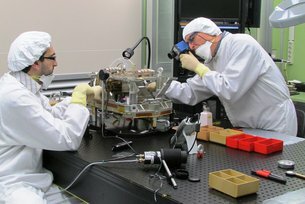 However, with the success of intense high-energy tests on its novel laser there is now light at the end of the tunnel for this unique mission. 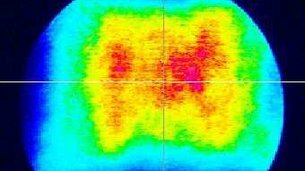 This scatters some of the light in all directions, including back to the satellite where it is recorded by Aladin. Alessandro d’Ottavi, the chief laser engineer at Selex-ES, says, “Bearing in mind the hurdles we’ve faced, this positive outcome is very important.